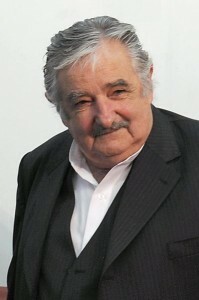 According to Uruguayan Defense Minister Eleuterio Fernández Huidobro, Mujica ordered the early withdrawal of the Uruguayan troops, which must be done in coordination with the Security Council and other countries from the Union of South American Nations (UNASUR). The president stated that the process should not be postponed any further, since other countries like Brazil have already decided to leave. With 950 officials in Haiti, Uruguay is second only to Brazil as the country that provides the greatest number of military officials to MINUSTAH. Besides Uruguay, other nations with peacekeeping troops in Haiti include Argentina, Bolivia, Brazil, Chile, Ecuador, Paraguay, Guatemala, El Salvador and Peru. The presence of peacekeepers has been the target of popular protests and a source of controversy in Haiti because of the peacekeepers’ role in re-introducing cholera to the country, numerous cases of sexual exploitation and abuse involving MINUSTAH personnel — including the sexual assault of a young Haitian man by Uruguayan troops — and other abuses.